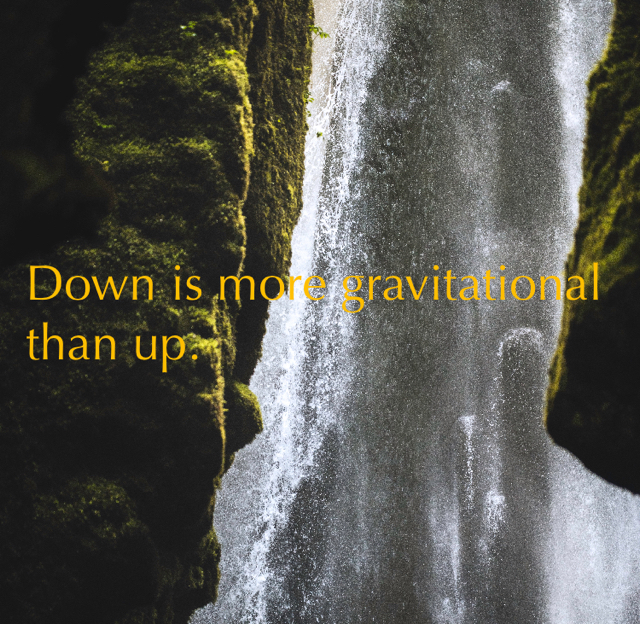 Parable - Down is more gravitational than up. The meaning of life can be encapsulated in the sweet struggle of up. Succeed or die trying!